Ms. Moore graduated from St. Mary’s Episcopal High School in Raleigh, North Carolina in 1987. She attained a Bachelor of Arts in Political Science from the University of North Carolina at Chapel Hill in 1990. Ms. Moore moved to Florida to attend Stetson University Law School. While studying law, she was a member of Phi Alpha Delta, a teaching assistant in the family law program of Gulf-Coast Legal Services, Inc., and a research assistant on issues relating to federal civil rights. She received her law degree and the Paul Barnard Award for Clinical Excellence in 1993. Upon attaining her law degree, Ms. Moore became an Assistant Public Defender in Pinellas County where she tried numerous jury and bench trials representing defendants charged with traffic violations, misdemeanors, felonies, juvenile delinquency cases and those involuntarily committed under the Baker Act. 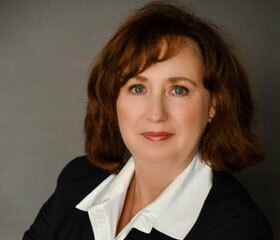 In 1998, Ms. Moore began private practice which has developed into a focus on family and estate law matters. She has completed volunteer training with the Center against Spouse Abuse and has twice earned the Clearwater Bar Foundation Award for Pro Bono Legal Assistance. Ms. Moore is currently a member of the Clearwater Bar Association and the Canakaris (Family law) Inns of Court. Additionally she has received admittance to the Florida Courts, the United States District Court, the United States Court of Appeals for the Eleventh Circuit and the United States Supreme Court. Ms. Moore has been an active member of the Florida Bar serving on the following committees and sub-committees: •Continuing Legal Education Committee (Vice-Chair) •Family Law Section’s Rules & Forms Committee •Family Law Section’s Support Issues Committee •Family Law Section’s Split Parenting Sub-Committee •Family Law Section’s Equitable Distribution Committee •Family Law Section’s Marital Appreciation of Non-Marital Property Sub-Committee •Family Law Section’s Transmutation by Co-Mingling Sub-Committee Ms. Moore has also served on the Board of Directors for the Clearwater Bar. Ms. Moore has spent over two decades practicing law in Pinellas County and building relationships within the community. Areas of Practice •Alimony •Child Support •Contempt •Custody & Visitation •Divorce •Enforcement •Family Law •Modification •Paternity •Relocation •Equitable Distribution •Parenting Plans •Domestic Violence Injunctions •Separation •Marital Settlement Agreements •Mediation Certified Legal Specialties •Family Law Mediation, Florida Supreme Court, 2009 •Board Certified in Marital and Family Law by the Florida Bar Bar Admissions •Florida, 1993 •U.S. District Court Middle District of Florida, 1993 •U.S. Court of Appeals 11th Circuit, 1993 •U.S. Supreme Court, 1999 Education •Stetson University College of Law, Gulfport, Florida •J.D. – May, 1993 •Member of Phi Alpha Delta •Teaching Assistant, Family law program of Gulf-Coast Legal Services, Inc •Honors: Paul Barnard Award for Clinical Excellence, 1993 •University of North Carolina, Chapel Hill, North Carolina •Bachelor of Arts – May, 1990 •Major: Political Science Representative Cases •C.P. v. State, 644 So.2d 6 (Fla 2nd DCA 1994) •Ferguson v. State, 693 So.2d 596 (Fla. 2nd DCA 1997) •State v. McGruder, 664 So.2d 1126 (Fla. 2nd DCA 1995) Classes/Seminars •Justice Teaching Participant, Starkey Elementary, 2007 – 2010 •People's Law School, St. Petersburg College, Family Law and Collaborative Law •Co-Author, Champions of Collaborative Divorce Honors and Awards •Clearwater Bar Foundation Award for Excellence in Pro Bono, 1999 •Clearwater Bar Foundation Award for Excellence in Pro Bono, 2006 •Starkey Elementary Business Partner of the Year, 2007 •Canakaris Inn of Court John C. Lenderman Award for Excellence in Family Law awarded to the family law attorney who demonstrates exemplary contributions to the family law profession, 2015 Professional Associations and Memberships •Clearwater Bar Association, Member •Canakaris (Family law) Inns of Court •Co-Chair of the Collaborative Section of the Clearwater Bar Association 2016-2018 •Prior Chair of the Family Law Section of the Clearwater Bar Association •Executive Director of the Canakaris Family Law Inn of Court 2018-present Past Employment Positions •Public Defender, Sixth Judicial Circuit, Assistant Public Defender, 1993 – 1998 FEE SCHEDULE: $250.00 per hour for 3 hour minimum (travel time determined on a case by case basis) Give our firm a call at (727)584-2528 to discuss your mediation needs today.